SYRACUSE, N.Y. - A husband and wife who earned degrees from the SUNY College of Environmental Science and Forestry (ESF) in 1951 have contributed $20,000 to help support the college's renowned chemistry program. The gift from Jim(Yun) and Lancy Jen means a lab in ESF's state-of-the-art chemistry building will bear the couple's names. The lab is used by Dr. William Winter, whose field is polymer biochemistry. Both Jens, who now live in Savannah, Ga., were students in the college's Faculty of Paper Science and Engineering. Jim Jen is business director with Harima Chemicals, a Japanese company with a major interest in naval stores products. 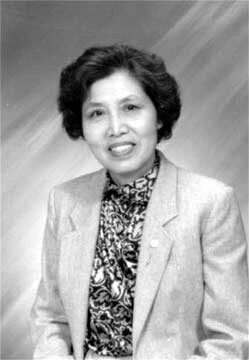 Lancy Jen had a long career in teaching and recently retired from the faculty of Savannah State University. Jim Jen said the gift was a way for the couple to give something back to the country they adopted after they left their homeland of China before the communist takeover. The couple's gift is the latest in a series of donations they have made to several educational institutions. "We are grateful for this country, for this school. We were able to make a decent living. We just wanted to repay what they have so graciously given us," Jim Jen said. Lancy Jen said she and her husband were both students of Dr. Edwin C. Jahn, for whom ESF's new chemistry building is named. The Jens, who have two daughters, have lived in Savannah since 1973.